CUPE Sask. 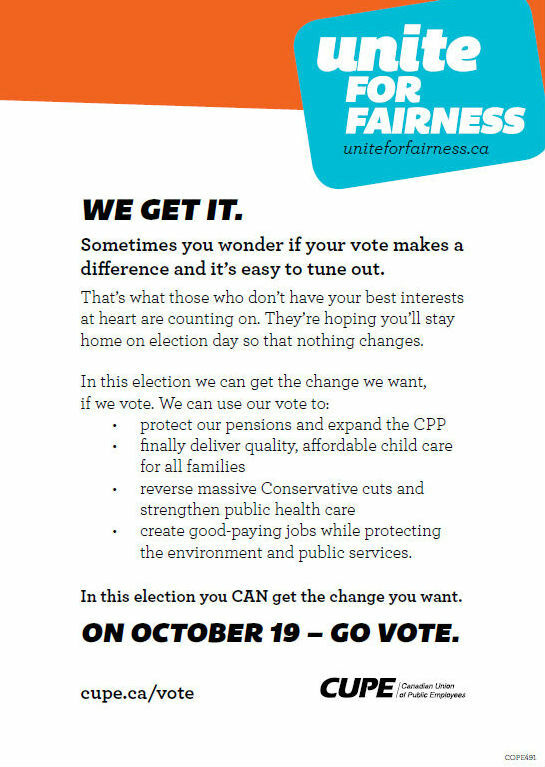 wants our members be aware of the upcoming election an practice our right to vote! Your voice matters in your union and in the community you live in! 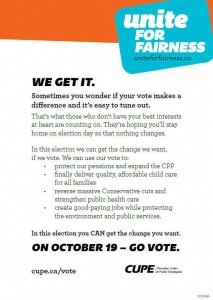 For more information, you can go to www.uniteforfairness.ca.